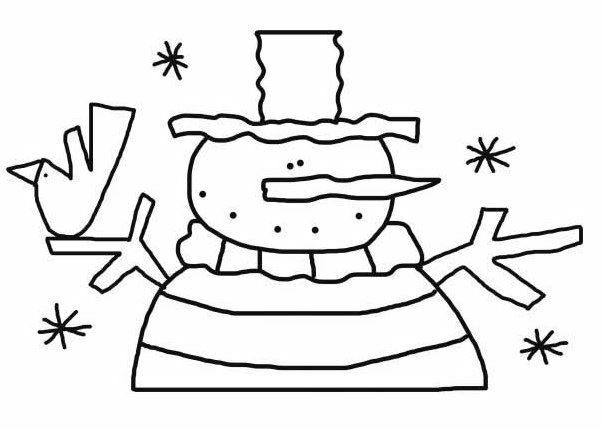 Printable snowman template. Rustic Glitzy snowman template is a fun squatty snowman with a bird, snow and wearing a sweater. Craft stencils for wood or painting.